Come to the biggest water park gay & lesbian party! It’s a unique and different day created to enjoy the sun, the aquatic rides, the music, the performances… and mainly, the energy of thousands of people came from all over the world. A whole year waiting for it! From 10 am, you can relax in our special chill out areas. If you’re feeling more energetic, you can also have fun at the pool, rides and party areas. Don’t get so relaxed, because as time goes by, our big open air party will start at the main stage. It will end with an incredible firework show that you can’t miss! 10 pm – 6 am WATER PARK NIGHT! When the sun sets, the party will be far from over. From 10 pm, we’ll move to the Illa Fantasia’s club venue and we’ll keep moving to the rhythm of the best DJs and the sexiest dancers! Don’t miss out the unique atmosphere that you will find there when the sun goes down! 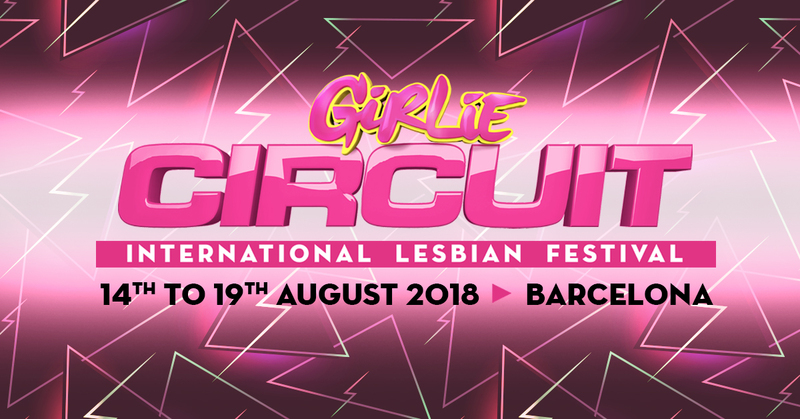 Girlie Circuit Festival does not allow you to bring food or drink into any of the venues. During the ‘Water Park Day’, the park’s catering services will offer vegan and celiac food options. From Barcelona: Circuit bus stop right outside the Hard Rock Café (Plaça Catalunya, 21). Shuttle service to water park every 5 minutes from 9:30 am to 6:30 am. You can take RENFE suburban trains with destination Mataró, Calella or Blanes (you can catch them at Clot, Arc de Triomf, Plaça Catalunya or Sants Station); get off at Premià de Mar station and take the Illa Fantasia shuttle (one every 15 min).